2017 has come to an end, and with it, our hopes for checking off the last few New Year’s Resolutions still hanging around from last January. Hopefully you managed to hit most of your big ones – finding a job, perhaps, or keeping in better touch with long-distance friends, or eating more salad – but there are always those little add-on resolutions that seem to slip through the cracks, the ones we think that surely we will get to sometime during the year, but never feel like quite a high enough priority to actually sit down and do. You could watch the Lord of the Rings extended editions 18 times, with time for bathroom breaks. You could walk from New York City to Detroit. Then again, maybe you’ll give it a whirl anyway. Who knows, 2018 may just be a year where you want to hermit away for a few weeks and power through 210 hours of epic battles between good and evil. No judgement. Sometimes building a blanket fort in your living room and watching a full season of television in one sitting really is the best and most logical option. Here are a few other shows that you’ve heard were good, and you were thinking about watching sometime this year…if you can just find the time. ** It takes about 88 hours of activity to train for a full marathon, assuming around a 10-minute-per-mile pace – although you could run at a slower pace and still be able to complete the training program twice in under 210 hours. *** writing 3.5 hours a day, 5 days a week, for 3 months, assuming you are a person who can draft a novel on that sort of schedule. If you aren’t, no shame. **** 8.77 days, which… actually, that might be aiming a bit high for a middle school romance. ***** Supernatural has actually been around for so long that it started on The WB, not The CW. The story of a galaxy-skipping Time Lord named simply “The Doctor” from the planet Gallifrey, Doctor Who began in 1963 and is still airing new episodes, so it’s understandably a little daunting. Forget double-digit seasons; this show spans decades. How is a new fan ever supposed to catch up? Fortunately, there are several shortcuts available to aspiring Doctor Who fans. Although the entire series takes place in a single continuity, it is perfectly respectable to skip the first 696 episodes (yes, six-hundred-ninety-six, the equivalent of 522 hours or more than three solid weeks of round-the-clock TV) and pick up the series with the 2005 reboot, leaving you with a much more palatable 177 episodes. If that is still too much, you can pick and choose your Doctor (the gimmick that has allowed the series to continue for so long is that the main character “regenerates” into a new body every so often, and has been played by 21 different actors throughout the show’s run). Some people choose to skip Christopher Eccleston’s Ninth Doctor and start with David Tennant; others have been known to skip Matt Smith’s or Peter Capaldi’s entire run. Whichever way you choose to tailor your Doctor Who binge watch, it’s worth committing for at least a Doctor or two – and once you start, you may decide to branch out to even more. There are no shortcuts to binge-watching The West Wing, Aaron Sorkin’s 155-episode political masterpiece, but really, once you start the show, you probably won’t want to skip ahead. The West Wing feels like a little bit of a fantasy, in that every individual that makes up the fictional Bartlet Administration is an articulate and witty fast-talking genius, but it also is riveting, character-driven drama that doubles as a pretty comprehensive political education, digging deep into how the U.S. Government works and the ins and outs of policy decisions. The downside is that, depending on your own personal beliefs, it may be a little difficult to swallow or hard to watch in today’s political climate, but if you’ve always wondered how exactly a bill becomes a law but worry that you’re too old for Schoolhouse Rock, The West Wing is the show for you. Over the course of its 14 seasons (and counting), Grey’s Anatomy has quietly helped reshape the landscape of prime-time network television. When it began in 2005, it was a light medical soap opera from fledgeling showrunner Shonda Rhimes, starring a diverse cast of fresh young faces, most of whom were unfamiliar to TV audiences. But 317 episodes and several significant cast overhauls later, Grey’s Anatomy has become the flagship of Shonda Rhimes’ entertainment empire, and is leading the charge of elevating women and members of marginalized communities to positions of power, both in front of and behind the camera. 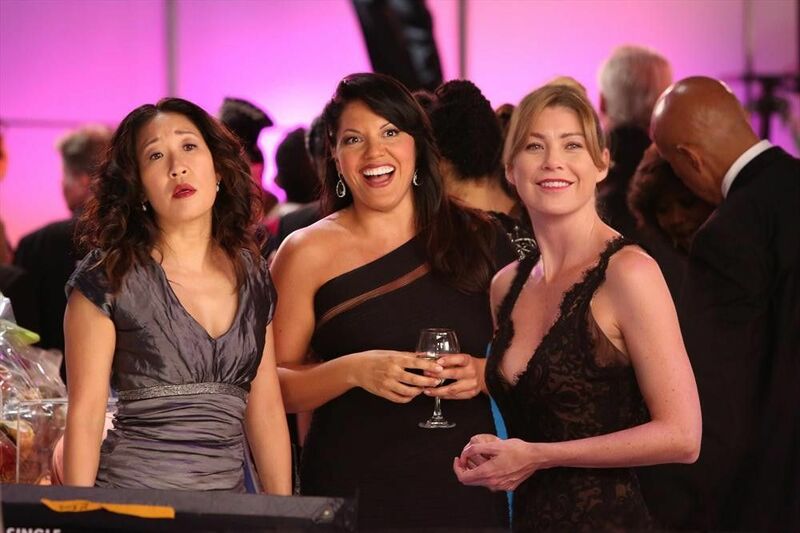 On the heels of Grey’s Anatomy, other mainstream shows created by and starring women have found both wide audiences and commercial success, and the show’s strong commitment to populating its hospital with a diverse cast of characters that reflect the real world, without having the show be about diversity, has proved to other shows that it can be done, and done well. But aside from what the show has done to change the way both viewers and creators see television, it’s just a fun show. The characters are great, the storylines are entertaining, and every few years, the show reinvents itself in an effort to keep things fresh. Sure, some seasons are stronger than others, and fans will always have characters they love and others they could do without, but overall, Grey’s Anatomy has shown that being one of the longest-running shows on TV is no excuse for stale storylines or recycled plots. You can spread your Grey’s Anatomy binge out over however long you’d like – 317 episodes is a lot, and the show is episodic enough that you can pick it up and put it down at pretty much any time – but based on both its own merit and what it’s meant to television as a whole, it’s worth trying out. One of the earliest shows to go all-in with deeply serialized, genre-bending storytelling, as well as a massive ensemble cast, LOST is another show that paved the way for much of what has come after. At a mere 118 episodes, LOST is the shortest-running show on this list, but it still is a pretty hefty commitment, both in terms of time and the mental energy it takes to keep up with the dozens of interweaving storylines and characters over the course of the show’s six seasons. Back when LOST first aired, before the days of social media watercoolers and on-demand streaming, fans were divided over the way the show shifted from a straightforward survival story to a timey-wimey sci-fi mindtwister, as well as the polarizing ending, which can still provoke a pretty spirited debate among fans to this day. But it deserves credit for stretching the boundaries of what can be done on television, and for paving the way for all of the even more ambitious shows that have come after it. You can’t really skip a single episode of LOST in your binge watch – except for maybe the oft-panned Exposé – and you need to be ready for the show to throw so many curveballs at you that it might make you dizzy, but if you are a fan of well-developed characters, layered storytelling, and unexpected twists, put LOST on your list.